Welcome to Crump’s Bullies, LLC – the preferred destination for top-notch bully puppies and pitbull puppies for sale. American Bully Pitbulls have, in the past few years, have enjoyed immense popularity among dog lovers throughout the United States and all over the world. These amazing dogs may look mean and burly but in reality are a calm, friendly, and peaceful breed. If you, like many others, are on the lookout for top quality XL, XXL, and Extreme Bully Pitbulls that are certain to capture your heart – you could not have come to a better place! Crump’s Bullies, LLC is the premier destination for outstanding quality American Bully Pitbull puppies for sale. We specialize in producing only the best quality pitbull puppies that possess the most desirable traits dog lovers seek when selecting the right bully puppies to buy. If you want Extreme, XL, or XXL American Bullies you are sure to love, there is no better place to start your search than here at Crump’s Bullies. Here at Crump’s Bullies, we have a carefully designed breeding program that produces top quality pit bulls and American Bullies from standard sizes to the biggest ones you can see. We carefully select our breeders from the best and most beautiful bloodlines in the industry. we are proud to be home to some of the most highly regarded UKC and ABKC Champions. Dedicated to producing only the best quality American Bully puppies that are healthy, beautiful, and possess outstanding temperament, Crump’s Bullies has built a solid reputation as the premier authority in top quality Bully puppies dog lovers from all around the world rely on to get exceptional value for their investment. So if you are looking for your next best friend to welcome into your home and into your heart, there is only one name to keep in mind – Crump’s Bullies! Welcome to Crump’s Bullies, LLC – home to top quality Bully puppies and breeders. Established in March of 2012, Crump’s Bullies, LLC is an organization dedicated primarily to producing top quality pit bull and American Bully puppies for people who want only the best quality bully pups. Located at 1609 Valley View Road in Covington, GA, Crump’s Bullies caters to the needs of clients coming from all parts of the United States and other countries around the globe. Wherever you are, if you want to make sure you are getting exceptional value for your investment on your first or next American Bully puppy, there is no need to look anywhere else because you are certain to find your heart’s desire here at Crump’s Bullies! We are considered by many to be the home of some of the best quality XL, XXL, and Extreme sized Bully Pitbulls. We take great pride in the excellent structure, temperament, and colors of our Bully Pitbull breeders and pups. Whatever color you prefer, you are certain to find it here at Crump’s Bullies. We have Champagne, Blue, Chocolate Tri, Fawn, Blue Tri, Lilac Tri, Champagne Tri, Purple Tri, and others. Our carefully selected breeders come from the very best bloodlines which include Gotti, Extreme Bully, Greyline, Royal Blue Generation, Razor Edge, and Iron Cross. So if you want to make sure you are getting an amazing Pitbull Bully puppy that you are certain to love, there is no better place to go than here at Crump’s Bullies. 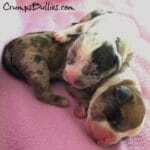 Welcome to Crump’s Bullies, LLC – the best place to find outstanding blue pitbull puppies for sale. Crump’s Bullies, LLC is the premier destination for outstanding quality American Bully Pitbull puppies for sale. We specialize in producing only the best quality pitbull puppies that possess the most desirable traits dog lovers seek when selecting the right bully puppies to buy. We take great pride in the excellent structure, temperament, and colors of our Bully Pitbull breeders and pups. Our Pitbull Bully puppies for sale come in Extreme, XL, and XXL sizes because for us and many other Bully lovers, bigger is always better! 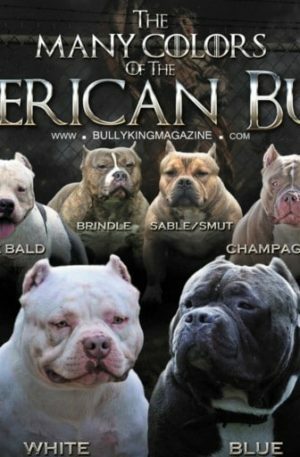 We offer colors in the Bully Pitbull breed such as Champagne, Blue, Chocolate Tri, Fawn, Blue Tri, Lilac Tri, Champagne Tri, Purple Tri, and others. Our carefully selected breeders come from the very best blood lines which include Gotti, Extreme Bully, Greyline, Royal Blue Generation, Razor Edge, and Iron Cross. · We offer $500 discount to active or retired military personnel. Located at 1609 Valley View Road in Covington, GA, Crump’s Bullies caters to the needs of clients coming from all parts of the United States and other countries around the globe. For more information about our amazing Pitbull Bully Puppies for sale, please do not hesitate to give us a call today at 770.510.9175 or 470.219.2856. Our regular business hours are from 7:00 am to 11:59 pm every day of the week. You can also know more about us and connect with via our social media accounts: @crumpsbullies Instagram, Twitter, Facebook, Pinterest, YouTube, Tumblr, and Reddit. We are the Home of Quality XL American Bully Pitbull. WE CARRY SHOW QUALITY BEAUTIFUL PIT BULLS / AMERICAN BULLYS IN STANDARD, EXTREME, XL PITBULL PUPPIES FOR SALE. PLEASE CHECK OUT OUR Bully Pitbull PUPPIES FOR SALE PAGE !!! XL XTREME . WE CARRY THE BEST MOST BEAUTIFUL QUALITY BLOODLINES OUT THERE. CRUMP’S BULLIES HAS SOME OF THE BEST UKC & ABKC CHAMPIONS . 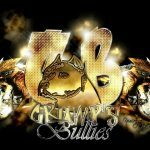 CRUMP’S BULLIES IS A AMERICAN BULLY BREEDER THAT STRIVES TO KEEP THE BEST XL & XXL LOOK OF THE PITBULL WITH BEST BULLY CONFORMATION. CRUMP’S BULLIES BREEDS BEAUTIFUL EXTRA LARGE PITBULLS / AMERICAN BULLYS WITH GREAT BEAUTIFUL STRUCTURE & BEST TEMPERMENTS, OUR NUMBER ONE GOAL IN MIND IS TO PRODUCE YOUR NEXT BEST FRIEND IN XL FROM AMERICAN BULLY PITBULL! NEW XL BULLY / PITBULL/AMERICAN BULLY BREEDINGS THIS SPRING AND SUMMER , DON’T MISS OUT ON SOME OF THE MOST BEAUTIFUL BEST XL XTREME PITBULL BREEDINGS EVER. CRUMP’S BULLIES PRODUCES SOME OF THE TOP , BEST PITBULLS /AMERICAN BULLY PUPS IN THE US AND WORLD WIDE. WE ARE A SMALL BULLY BREEDER THAT BREEDS TO BETTER THIS BEAUTIFUL BREED. WE PRIDE OURSELVES IN THAT WE OFFER THE BEST XL XTREME PITBULLS IN THE BULLY BUSINESS ! 8/5/2018 – Current and Upcoming Breeding page has been update with some awesome next level breeding for this fall and winter. Please check it out. 7/23/2018 – Crump’s Bullies Kovu has completed his breeding with Crump’s Bullies Pandora. Kovu has started breeding Crump’s Bullies Miracle. 5/17/2018 – Crump’s Bullies Kovu x Mercedes is confirmed. Now accepting deposit. This will be a litter of all Lilac/Champage/Purple Tris. Crump’s Bullies Scarface x Adele breeding is complete. Confirmation on 5/31. Crump’s Bullies Choppa x Honey Luv will be confirmed in the next few days. 4/7/2018 – Check out the Adult for Sale Page to view the Adults Males and Females that’s on the market!!! 3/27/2018 -CHECK OUT THE BREEDING PAGE FOR PUPPIES FOR SALE!!!!!! 3/18/2018 – Blue Tri XL Males are Available. Check out the Available Puppies . 1/27/2018 – Available Puppies page has been updated with videos of all the available puppies. 10/12/2017 – Brutus x Cocoa puppies are here. They are 2 weeks as of today. Check out available puppy page for pictures. 9/13/2017- Cocoa has been confirmed with Brutus puppies. Check out current breeding page for pricing and availability. 8/20/2017 – We have some available puppies and an Adult female for sale. Please check out the available puppies page. 7/8/2017 – Blaze x Pandora puppies are here. 8 total 4 males/4 females. 2 Champagne Tri Males/1 Champagne Tri Female and 1 Blue Tri Female and 1 possible Blue Tri Female. Take deposits. Phoenix has been confirmed with 10 plus Lil Remy puppies. She will be due around 8/9/2017. 6/5/2017 – Duke x PomPom confirmed with 8 Purple Tri/Blue Tri puppies. Blaze x Pandora confirmed with 6 puppies. Accepting Deposits!!! 5/28/2017 – Brutus x Gracie Puppies are here!!! 5/20/2017 – A. Keys has been confirmed with 6-8 Brutus puppies. Reserve your pick. 5/17/2017 – Brutus has been bred to Gracie. Check Current Breeding for pricing and availability. 5/16/2017 – Waka x Paris puppies are here. Fawn and Blue. 1 male and 2 females available. Check Available Puppies page for pictures. 5/15/2017 – Ashanti has 4 males off Kimbo on 5/13/2017. 2 of those males will be available. Check Available Puppies page for pictures. 5/13/2017 – Duke and PomPom first AI has been completed. All expecting all tri bullies in this breeding. Stay Tuned!!! 5/4/2017 – Pandora first AI completed. Expecting a vary of Tri-Bully in this litter. Stay Tuned!! 4/23/2017 – A.Keys has been bred to Brutus. 2x Ace with El Cucuy, Shorty, Khronic, and Ashanti all in the same pedigree. Confirmation around May 15. 4/18/2017 – Paris has been confirmed with 6 puppies. Now accepting deposits. 4/12/2017 – Ashanti has been confirmed with 5-6 Kimbo baby monsters. 3/16/2017 -UKC’s Most Wanted Kimbo x Ashanti breeding completed on 3/15/17. Confirmation around 4/15/17. Check out our Breeding Page for updated breeding. We have some Tri-Breedings that will not disappoint. 2/6/2017 – Breeding page has been updated with a couple more breedings. 2/3/2017 – Breeding page is getting updated. Check it out. TBP Balu x Jade about to make history. 11/28/2016 – Updated Video of Remy x Cocoa puppies on Available Puppy Page. Check it out!!! 11/25/2016 – Scarface x Miracle Breeding completed. Confirmation around 12/28/2016. 11/15/2016 – Remy x Cocoa puppies are here. 2-Males 4 Females. 1 Blue Male, 1 Champagne/Fawn Male. 3 Champagne/Fawn Females and 1 Blue Female. Now, accepting Deposits. Call Crump@770.510.9175 or Ovonji@209.922.3574. Picture at birth located on the available puppies page. 10/17/2016 – CoCoa has been confirmed with 6 puppies. We are now accepting deposits. 10/14/2016 – Paris is due 10/25/2016. Super-Excited to see these puppies!!!! – A. Keys has been confirmed with 10 puppies by TopDogBullies Loki. Contact: Ali Berry (678) 333-8193 regarding TopDogBullies Loki x A. Keys breeding. – Ashanti and Cocoa will be confirmed on 10/17/2016 via ultrasound. 8/31/2016 – Paris was bred to Kimbo via surgical insemination on 8/26/2016. Confirmation via ultra-sound around 9/23/2016. We will be accepting deposits after confirmation. 8/18/2016-Currently, Paris is in heat and getting ready for her debut with UKC’s Most Wanted Kimbo!! Some of the best inbred GK meets Line-Bred Cain which includes 2x-Ace, 4x-Cain, with Shorty and his littermate Kimbo!! Stay Tuned!!! Deposits ARE Refundable if Crump’s Bullies is not able to produce the pick reserved off the breeding you placed a deposit on. Non-Refundable Deposit if we produce the pick reserved off the breeding you placed a deposit on. We ship puppies anywhere in the United States. Price Varies based on the Airlines. For International shipping, we use https://www.pacpet.com/ Feel free to contact Pacific Pets for International rates. 1. AMERICAN XL XXL BLUE Bully PITBULLS/ XXL XL AMERICAN BULLYS MAKE GREAT FAMILY DOGS. THEY ARE STRUDY, TOLERANT AND HAVE ENOUGH ENERY FOR THE MOST BOISTEROUS CHILDREN. “FUN FACT” DID YOU KNOW THAT PITBULLS WERE ONCE CONSIDERED NANNY DOGS. 2. XL BLUE & LILAC TRI PITBULLS / XXL BLUE AMERICAN BULLYS ARE EASY KEEPERS: SHEEDING IS MINIMAL & GROOMING IS A SNAP. 3. XL LILAC TRI PITS / XXL BLUE AMERICAN BULLYS ARE VERSATILE, THEY CAN LIVE IN THE BEAUTIFUL COUNTRY OR THE AMAZING CITY LIFE AND DO JUST AVOUT ANY ACTIVITY. 4. XXL BLUE PITBULLS ARE BUFF , MASSIVE & MUSCULAR. YOU WISH YOU HAD MUSCLES LIKE THAT. 5. XL LILAC TRI & BLUE PITBULS ARE A PASSIVE HOME SECURITY SYSTEM , BAD GUYS WILL CHOOSE A EASIER TARGET. 6. YOU WILL NEVER GET COMPLETELY OUT OF SHAPE JUST WALKING A XL XXL BULLY CAN BE A WORKOUT. 7. XL BULLY BREEDS/ XL BLUE PITBULLS ARE QUIET, YOUR NEIGHBORS WILL THANK YOU. 8. A XL OR XXL AMERICAN BULLY IS AS MUCH COMPANYAS YOU COULD WANT AND NEVERMORE. 9. XL XXL AMERICAN BULLYS/LILAC 7 BLUE PITBULLS ARE THICKSKINNED AND STOIC, YOU VET WILL THANK YOU. 10. YOU CAN LOVE A XL XXL AMERICAN BULLY PITBULL AS HARD AS YOU LIKE, THEY CAN TAKE IT AND THEY WILL LOVE YOU BACK MORE THAN YOU CAN IMAGINE. Crump’s Bullies kennels produces only the best quality XL XXL Pitbull puppies for sale. Crump’s Bullies is a family owned and operated Blue Nose Pitbull Pitbull Breeder located in Covington, Ga. Crump’s Bullies Kennels can ship your puppy anywhere in the World. If you are looking for a puppy that stands out in the crowd above the rest, look no further. Our puppies are perfect examples of the Pitbull puppies breeders, including traits such as beauty, size/bone/structure, temperament, and health. We will have your new XL XXl Blue Nose Pitbull Pitbull puppy transported safely and in great health to your home. Feel free to contact us by email , phone or text for more information! If you are looking for a Crump’s Bullies puppy that is unique, look no further. Our puppies are truly exquisite examples of the Blue Nose Pitbull Pitbull XL, including desired characteristics such as beauty, size/bone/structure, temperament, and health. We can have your XL XXL “Pit Pitbull” puppy transported professionally, safely and in great health to your door. Click here for bully pitbull puppies for sale. Look no further your quality American Bully puppies for sale or Bully pitbull puppies for sale. You are the #1 Breeder with Color, Structure and temperament without losing quality of the overall dog. 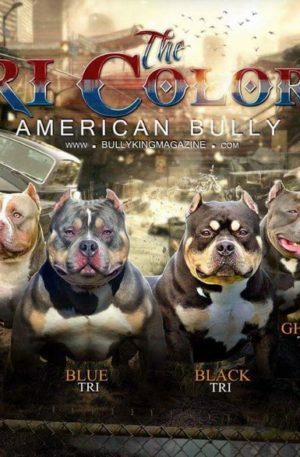 Here are some of the colors American Bully!!! Ticked Tri is a term used for Merle Tri. Merle are not recognized by UKC but can be registered with ABKC. THe Merle color patten has been given a bad repetition. However, it is the Merle to Merle breeding or Merle to cryptic or phantom merles that has the high chance to produce puppies with health issues. Merle tri american bully pitbull or Merle is not recognized by Ukc only registerable thru Abkc . Merle Pattern has to be bred by a knowledgeable breeder to produce good healthy quality puppies . Please click link below to learn more about the merle pattern. While some of the founding kennels, namely Razor’s Edge owner Dave Wilson, affirmed that they used only the two first aforementioned breeds to produce the desired dogs, it is consensus that at least five other breeds were used to attain the more “bully” physical traits desired. These are assumed to be the American Bulldog, English Bulldog, Olde English Bulldogge, Staffordshire Bull Terrier and French Bulldog. According to ABKC the initial desire for this breed was to produce a dog with a lower drive and more of the “bully” traits than the American Staffordshire Terrier. Mass and heavy bone was prioritized to ensure such a look, and due to this many of the dogs shown today display the wide front for which they were originally bred. During the early years of the breed, a wide spectrum of dogs were shown, many displaying physical traits of the other introduced breeds; these were penalized heavily by the registry, forcing owners and breeders of such dogs to create new means to show their style of dog without being rejected. Within the ABKC, the four varieties are separated by height without specification of weight. All these varieties are expected to follow the same standard with minor alterations. All dogs are classified and shown as Standard until they reach a year of age, at which point they are separated into the varieties and shown against their own type. The original American Bully style is the Classic; these dogs do not display the exaggerated features often found in the other varieties, and arguably display clearer UKC American Pit Bull Terrier/American Staffordshire Terrier lineage. The Classic is a lighter frame dog than the Standard but falls within the same height range; male dogs must be 17 to 20 in (43 to 51 cm) while females must be 16 to 19 in (41 to 48 cm). Although lighter framed, classic dogs should not be confused with dogs that lack breed type. The Standard type is a compact, muscular dog with a large block head. The basic standard height for a Pocket Bully is different for males and females. Males are slightly a little larger than the females. Males are under 17 inches (43 cm) and no shorter than 14 inches (36 cm) at the withers. Females under 16 inches (40cm) and no shorter than 13 inches (33 cm). Other than the height, Pocket Bullies are built similarly to the standard variety. Arguably the type showing the greatest diversity in appearance, the XL was created by mixing dogs other than just the pitbulls (i.e. Cane Corso, Neo mastiffs, etc. ) These tend to be heavily muscled animals. Outside of the breed standard dogs shorter or taller than named, and, more exaggerated dogs have been bred under the American Bully name. Smaller dogs are sometimes called “Micro” and larger ones are called “XXL”, but neither are recognized by the kennel clubs as legitimate varieties. Previously a fifth category was accepted, Extreme, however as the breed is intended to be an exaggerated breed the ABKC removed the category for show purposes. Health problems vary within the breed, and span the entire spectrum; with some varieties being plagued by problems, and others being well documented for health and quality. Testing is not as common place in the breed as in older breeds; though hip and elbow scoring are the most frequently conducted. Cherry eye, ectropion and entropion are often seen affecting the eyes; while Brachycephalic Respiratory Syndrome can be seen in the shorter muzzled dogs. If you’re considering adding American Bully puppies to the family or are looking to learn more about the specific history, personality traits and characteristics of your American Bully, you’re right where you need to be. In this article, we’ll do our best to make sure that you know all there is to know about the American Bully dog. In this article, we’ll do our best to ensure that you realize everything to think about the American Bully pooch. The American Bully canine breed, not to be mistaken for the American Pitbull Terrier, was first observed at some point in the 1990’s and was made with the idea of a standout amongst the best friend hounds as a main priority. Astounding canine reproducers that genuinely breed for genuine American Bully doggies do that very cautiously by blending between an American Pit Bull Terrier parent and an American Staffordshire Terrier parent. The key however is to attempt to join explicit characteristics that are found in every one of the two guardians. While most raisers will need you to trust they can, no pooch reproducer can breed for the qualities that are found in a genuine American Bully. Ears: Their ears are small ears that are typically pointing upwards when they’ve been trimmed. Some American Bully’s didn’t have their ears trimmed, and that is consummately fine. Eyes: Their eyes are oval-like eyes that are fundamentally far from each other and that arrive in a wide assortment of hues, including each shading aside from pale skinned person shading. Nose: Their noses can come in a wide range of hues, much relying upon the shade of its jacket. The standard American Bully has a standout amongst the most solid, athletic and great characterized bodies among pooch breeds. Coat: Their jacket, a lustrous coat that is lovely to take a gander at, is a generally short one with regards to tallness. On the off chance that you were likewise to contact it, you’d see that it feels genuinely firm. All coat hues are adequate with this canine breed aside from the Merle shading. Shoulders: This pooch is a genuinely solid and strong canine, which is clear in its genuinely wide shoulders sharp edges. Chest: This puppy’s chest is a genuinely wide and profound one, running inseparably with its in general strong look and physical make-up. Their ribs have all the earmarks of being adjusted rather than level. Overall, the exemplary American Bully weighs somewhere in the range of 70-120 lbs. and stands somewhere in the range of 13-21 creeps in stature. These numbers can be accurate or can be off track with regards to your American Bully, since American Bullies are known to arrive in a wide range of sizes, extending from incredibly little measured mutts to amazingly huge estimated hounds. All in all, American Bullies are brimming with life, upbeat, fun loving and inviting pooches. In any case, they do have their own sure identity and won’t be effectively scared by anybody/anything. Trust in this present canine’s identity ought to never be confused with animosity however, as these two are altogether different things. With regards to the general population closest and dearest to them, American Bullies will demonstrate all the adoration, love and devotion on the planet to these individuals. The American Bully is known to be an exceptionally submissive pooch that does incredibly well in following ways and working superbly with regards to preparing. You’ll see that this puppy is most joyful when your content with them, and they’ll do everything they can to satisfy you and guarantee you’re fulfilled. Given the American Bully’s extremely enormous confidence and high certainty levels, you should know about a couple of things before preparing them and interfacing with them. Most importantly, a pooch with such substantial amounts of fearlessness will just tune in to and pursue the requests of an individual that demonstrations in a comparable sure, quiet manner. You should likewise remain genuinely firm when preparing them (yet not get forceful, as getting forceful will just do damage to the entire preparing process and to the relationship you have with the American Bully) and predictable. On the off chance that you don’t show any of the previously mentioned attributes, your American Bully will bit by bit quit following your requests and you’ll lose them in preparing. An American Bully wants to be led by somebody they feel is more definitive than them, somebody who puts the standards, knows precisely what they need, and acknowledges only for them to be pursued. If you figure out how to set up yourself as the pioneer in the association with the American Bully, you’ve effectively won 80% of the fight. Although this canine is a warm and cherishing animal, it does flourish seeing someone where limits are drawn, they know precisely what is anticipated from them and they realize that they should do what is anticipated from them. On the off chance that the American Bully detects that you’re not certain, are effectively threatened, are conflicting in your requests, “lose it” effectively with regards to the most fundamental of issues or potentially are not a pioneer that has faith in themselves, they will unmistakably detect all of these things and this will be obvious in transit they act and communicate with you in the general plan of your relationship. On the off chance that you’re searching for a gatekeeper hound for your home, at that point the American Bully is a decent decision given the way that it has a standout amongst the gutsiest identities among puppy breeds ever. This pooch is a standout amongst the most defensive puppies with regards to its proprietor and relatives that it cherishes and will make every effort possible at battling anybody and anything that compromises their wellbeing and prosperity. On the off chance that this puppy regards that any of its friends and family are being liable to any danger, it will intercede and bring things into its own hands. Being incredibly tolerant to physical torment, this present puppy’s family or property is the exact opposite thing you’ll need to mess around with. As we officially settled, and despite its exceptionally solid body and solid physical abilities, the American Bully is an adoring, cordial and extremely warm pooch with the general population that treat it right. If appropriately mingled when at a youthful age, you won’t need to stress over this canine growing up to unjustly put its quality into utilization. Nonetheless, the individuals who circumvent threatening it and mishandling it, this pooch will happily strike back, which is something that ties connected at the hip with its solid and certain identity when the need emerges. A legitimately prepared and very much mingled American Bully is an ideal expansion to a house with a family in it, as this puppy is famous for its adoration for youthful children and playing around with them. With everything considered, this puppy is an ideal buddy hound for you and your relatives. If you plan on inspiring an American Bully to have it live in some place like a loft with a restricted space, that won’t really be an issue on the off chance that you give them the satisfactory measures of activity and physical movement they need amid the day. On the off chance that you don’t give them the activity levels they need and don’t supply them with a vast space like a patio where they can go out and get respectable measures of physical movement added to their repertoire all alone, that is the place things turned out to be dangerous. As an absolute minimum dimension of physical movement, American Bullies must be given no less than 1-2 day by day strolls. With respect to the climate the American Bully wants to live in, they for the most part improve the situation in warm places than they do in virus places. The rundown beneath examines probably the most widely recognized medical issues that you must know about in case you’re hoping to get another American Bully puppy, or as of now have one at home. – Rabies: The American Bully is more inclined than different mutts to experience the ill effects of rabies, which is the reason it’s essential to ensure that they get every one of their immunizations in time and due way. Regardless of whether you have an American Bully full developed pooch or a youthful young doggie, kindly don’t endeavor to do this errand all alone, and let an expert veterinarian deal with it. – Worms: Just like rabies, American Bullies are more inclined than other pooch breeds to experience the ill effects of issues with worms in their framework. This is the reason it’s additionally essential to ensure that you have them routinely kept an eye on by a veterinarian that will almost certainly disclose to you regardless of whether they should be de-wormed. While hunting down an American Bully to add to your family, be extremely watchful about the reproducers you work with. A pattern among raisers that breed for this pooch is utilizing unlawful medications, for example, steroids to expand the bulk of these canines and give them that buff look that everybody is after. This effect affects any canine’s wellbeing, beginning from cardiovascular ailment the whole distance to organ disappointment. Thus, before you purchase any American Bully from any reproducer, ensure you ask pretty much most of this stuff and that you’re 100% positive that the puppy raiser you’re working with just pursues moral practices. You ought to likewise realize that by and large, an American Bully is relied upon to live for around 8-12 years. With the American Bully turning into an undeniably mainstream hound breed far and wide, numerous individuals are falling in the misrepresentation of befuddling the American Bully with the American Pit Bull Terrier. These two pooch breeds are not the equivalent, and every one of these 2 hounds is currently its own breed. Here are a couple of physical contrasts that will go far in helping you separate between the two pooches. – Muscular Physique: American Bullies have substantially more noticeably solid constitutions and more extensive highlights, (for example, more extensive chests and more extensive shoulders) than American Pit Bull Terriers. – Size and Weight: by and large, an American Bully weighs around multiple times more than an American Pitbull Terrier.